You can generate an HTML backup of your account data using the export feature. Export the entire account or an individual project! The export feature is only available to the account owner. Head to your Account page, then click "Set up or download an export." Pick the export you want. 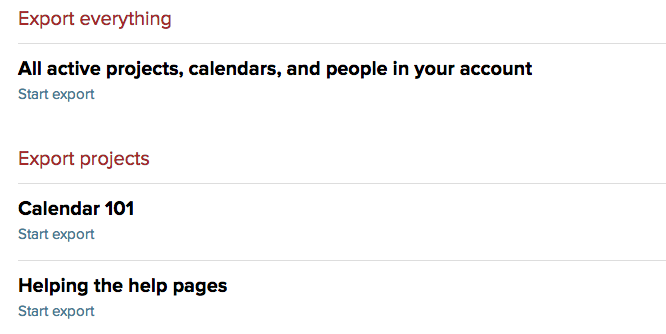 Select the entire account or a single project. Basecamp will pull together a download of your project data, including files. It can take a while, depending on how much data is in your account. When it's done you'll get an email. You'll have three days to download the file. 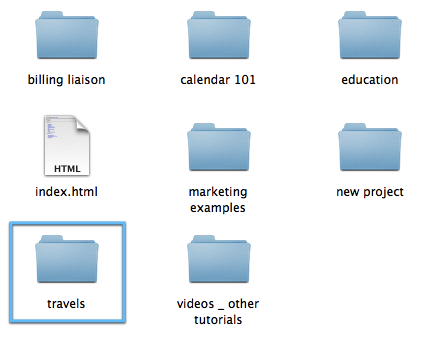 If you export the entire account, each project is broken out into its own folder. You'll get both the active and archived projects, calendars, files, and your list of people. Any Google documents you've added to your projects will be linked on the Files page, but will not appear in the attachments folder. The data in each project is broken out into folders too. 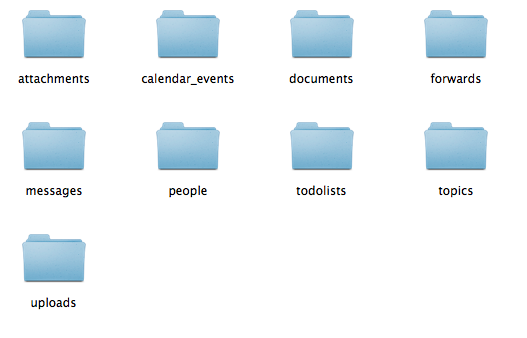 You'll see messages, people, dates, lists, and all your files. Open index.html in the export folder to view your project data locally. Follow the links to navigate through your account. This export can't be imported into a Basecamp account, but it can make it easier to manually add data to another account. Use the Email-in feature to help with that.